The event takes place at the premises of the Gruppo Storico Romano, in an equipped arena , only 2.5 km from the Coliseum. 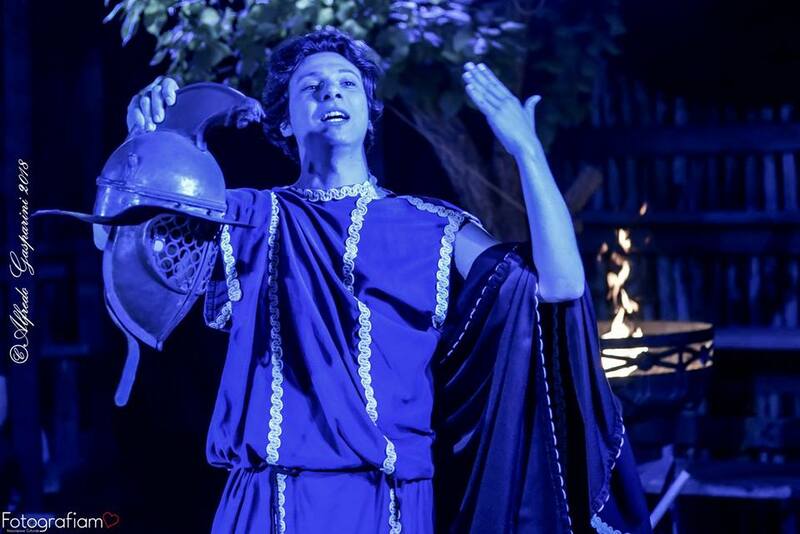 In a charming atmosphere with music, lights and effects, you can attend gladiatorial fights, ancient dances, rites of Vesta and maneuvers of the Legion. At the end of the show there is a drink made by ancient Roman recipes. attend gladiatorial fights , ancient dances, Vestal rituals and maneuvers of the legion. The show is produced by historical reenactors and retreaders with real weapons and armor. Guests can try weapons and armor and do all the photos you want. The total duration of the show is an hour and a half. You must enter at 8:30pm, then well visit the Museum of the Roman Legionary . After that, the show with performances by dancers, Gladiators, Legionnaires, MIME and Vestal Virgins. End of the event around 10:15 pm.